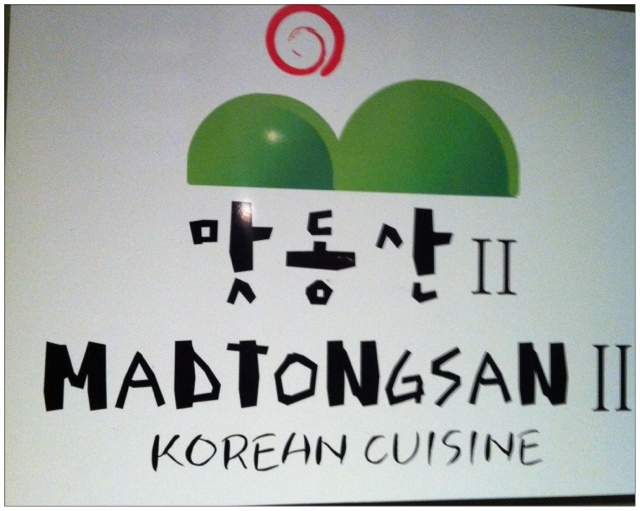 The first time I went in search for Madtongsan II, I ended up in Madtongsan I, and being the stubborn person I am, I went out in search of Madtongsan II a couple days later and its posh interior designs and plush sofas. I am really ashamed to say, I can't believe it that I missed it the first time I went looking for it! Because M II is literally less than 2 minutes away from M I! M II is located right above a Korean supermarket and there are some stairs you'd have to climb up (1 floor) and a sturdy wooden door (it's actually really light) that you'd have to push through. 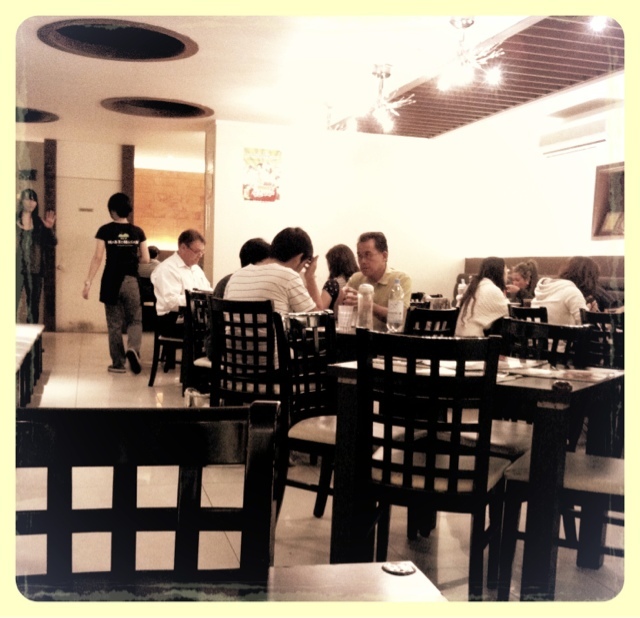 But once inside, what you get, is a proper restaurant that looks and feels nothing like M I. Not that M I is bad or anything. But clearly, anyone who has been to M I and M II will tell you, whilst M I is good for a quick lunch or a casual eat out, the classier M II is where you could organize gatherings and take dates. 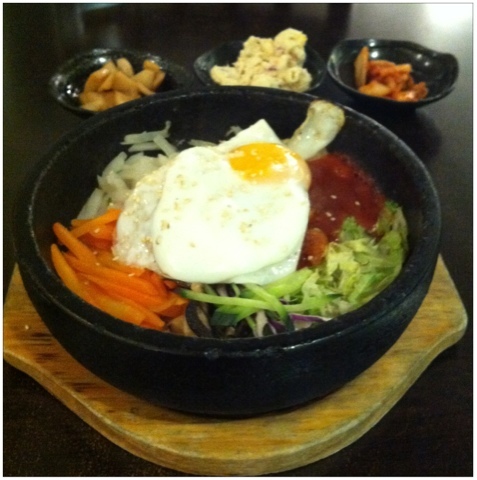 Anyway, this time, I did go for the hot stone bimbimbap and when it was served, OMG! It was as good as I imagined it to be! What was also notable was that the side dishes tasted better than M I. The pickled onion and the creamy pasta was so well made, I polished the side dishes off within five minutes of it being served. Anyway, so here's my recommendation on MI and MII. If you want hot stone bimbimbap, go to M I, the aroma lingers in the air longer (beware your clothe will smell a little) and if you go to M II, order the more classy stuff like hotpot etc. Recommended: The hotpot also looked really good. If you have enough people, try that! Directions:From Central Station, go across Anzac Square, Post Office Square and you come out on Queen St. One more down is Elizabeth St, turn right on Elizabeth and continue walking down. There's a few traffic lights, but once you get close to the mall entrance for Madtongsan I, keep on walking down, 3-4 doors down, you'd find Madtongsan II.